Having written about EU social policy for over a decade, our view is that the EU currently is going nowhere in its social policies to combat poverty and social exclusion. Such policies are in themselves ambitious and also novel in an EU context – centring on the 2010 target within the EU’s Europe 2020 reform programme, the EU aims to reduce the numbers living in poverty and social exclusion by 20 million by 2020. While this broke new ground when it was agreed we remain skeptical in terms of the ability of the EU to make progress and achieve substantive positive outcomes on poverty. 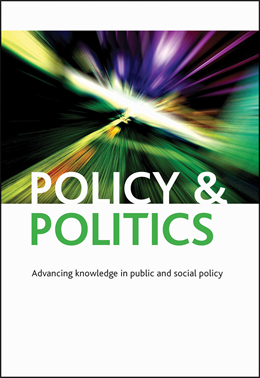 In our paper we construct a framework to analyse the significance of a policy area within a governance architecture, such as Europe 2020. The framework focuses on ideational coherence, political prioritization and the nature and capacity of the governance procedures. The application of the framework to the poverty target reveals a double set of weaknesses: the manner in which it is ideologically constructed means that it is effectively ungovernable; while the low political priority of the target in the EU’s governance architecture and the limited resources at both EU and Member State levels result in it being ungoverned. In regard to ideational coherence, we question whether the EU’s target is workable. It mixes three very different measurements of poverty and social exclusion (income poverty, social exclusion and worklessness) and offers Member States a choice of which if any to adopt – they may also adopt their own. As a consequence, there is major variation in the Member States as to what is being aimed for, as well as an a la carte approach to poverty and social exclusion. The second main weakness that we see is in the governance procedures. Here the discussion leads us in two directions: political priority and actual governance mechanisms. In regard to political priority, poverty and social exclusion are low-level concerns in their own right and historically in the EU. This is especially so in the current context of EU political orientations (which is driven by economic goals). Moreover, neither of the two competing social policy models in the EU at the present time – activation on the one hand and social investment on the other – particularly problematises poverty and social exclusion. In terms of governance, the legal status of poverty and social exclusion as an EU mandate is unclear (and disputed) and the prevailing governance mechanisms weak. The macroeconomic mechanisms set the tone for how everything else is dealt with. All of this means that there is little or no strategic direction on poverty and social exclusion coming from the EU. Among the issues for critical discussion arising out of our piece include whether the poverty and social exclusion target can be rescued. We are pessimistic about this, mainly because we do not see the kind of political consensus necessary for a serious attack on ever-rising poverty in the EU. The 2010 negotiations of the target were fraught with difficulties, pitching northern and eastern Member States against the southern members who were in favour of a strong target. Eurozone bailout packages and the resultant austerity programmes have further strengthened the division and this thwarts any broad consensus on the topic for future progress in the field. All of this is set against a backdrop in which austerity in the EU has increased the level of poverty and social exclusion from 114 million in 2009 to 124 million by 2012. It is likely that the current level of poverty and social exclusion is significantly higher than the 2012 figure given by Eurostat. In contrast, since 2010 the EU has been able to create a broad consensus in moving integration towards what is being referred to as ‘economic governance’. Here a number of reforms and new agreements, such as the Euro Plus Pact and the Fiscal Compact, have resulted in a constitutionalisation of macroeconomic policy. A closer inspection of these developments reveals, as our article shows, that economic governance surrounding the principles of budgetary and fiscal discipline are the number one priority of the EU’s post crisis European integration trajectory. Progress in other policy areas of both Europe 2020 and the broader policy matrix of the EU are dependent upon developments within this particular priority. The real concern is that in the long term, the economic governance structures put into place construct an ideological straightjacket that reduces the incentives at the Member State level to embark on ambitious social policy spending plans, including those aiming for a reduction of poverty and social exclusion. As we face the establishment of the next European Commission, the EU might well ask itself: would the EU be more popular with its publics if it showed more commitment to the poverty and social exclusion target? Paul Copeland is Lecturer in Public Policy at Queen Mary University of London. 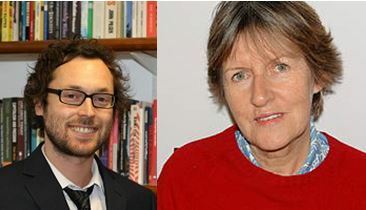 Mary Daly is Professor of Sociology and Social Policy University of Oxford.